Hello from Calgary! I am here for a few days to visit my relatives. 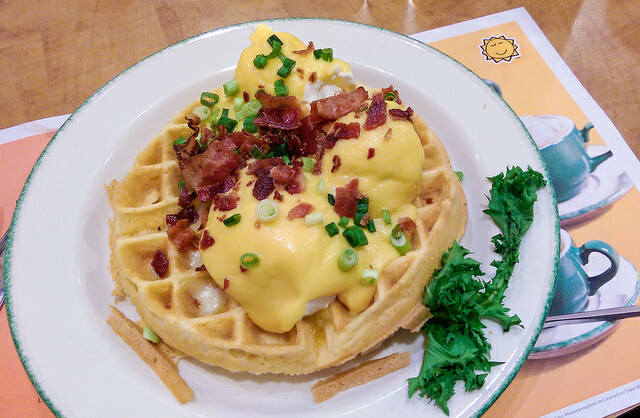 Today, a group of us had brunch at Cora before heading to an art faire in Downtown Calgary. 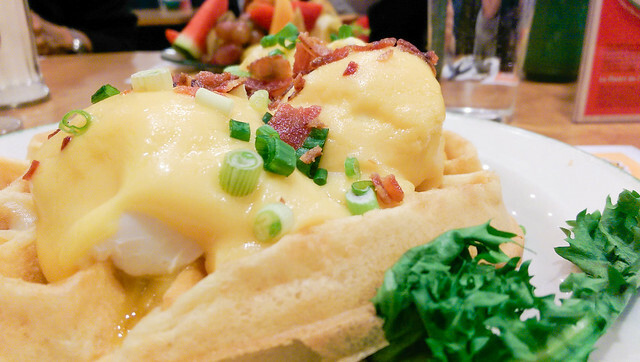 Cora is a breakfast & lunch restaurant chain found in major Canadian cities. There was a 1, 2, or 3-egg option, for $10.25, $11.95, or $12.95 CAD, respectively. I was really hungry, so I went with the 3-egg option!